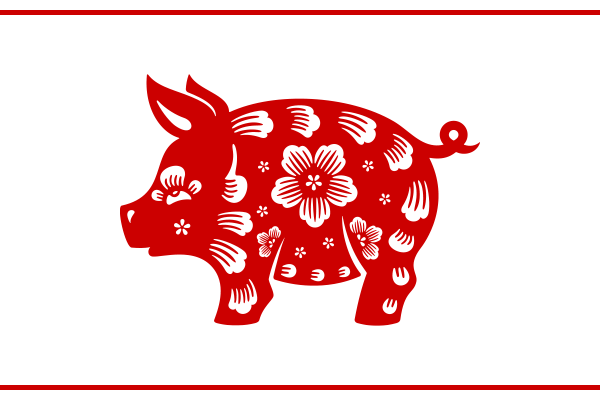 February 5th was the beginning of the Year of the Pig! Many people don’t realise just how many different pigs there are, so let’s have a look at some of the most interesting pigs out there. This well trained pig is a truffle hog, one in a long line of useful pigs performing a very specialized job. The use of pigs to hunt truffles goes is believed to go all the way back to Roman times, and the first well documented use dates back to the 15th century. Truffles are an incredibly valuable commodity, farming them is difficult and they’re only available for a portion of the year, hence most of them are dug up in the wild. The job of a truffle hog is to sniff about for the distinct scent of ripe truffles, which their keeper can then dig up to sell for an enormous amount. The more common black truffle is worth a pretty penny but the rarer European white truffle can be worth $6000 dollars or more per kilo! The scent of a ripe truffle is similar to the mate attracting scent given off by male pigs, this means female pigs can be turned to truffle hunting with very little training. The downside is that pigs really like eating them, and when coupled with their very destructive way of digging they can literally eat into profits if not kept under control. Unlucky truffle hunters have been known to lose harvests, and even fingers, to aggressive pigs. This has lead to the rise of truffle hunting dogs as challengers for the role. While they need more training to perform the job they’re also much easier to control. Want more interesting pigs or to share your own animal knowledge? Log on or sign up to let us know!